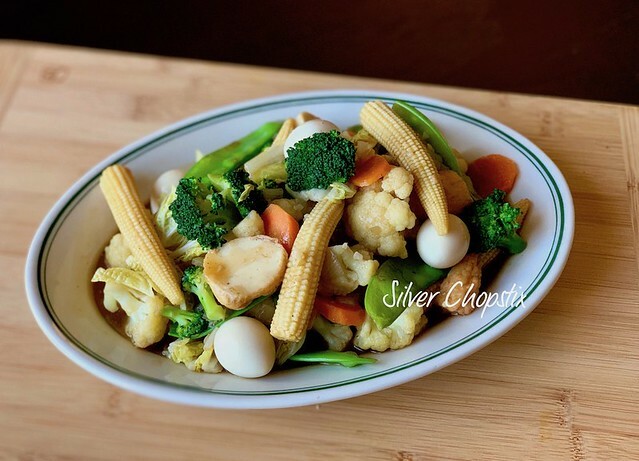 Filipino chop suey is just a colorful medley of vegetables that has been stir fried. 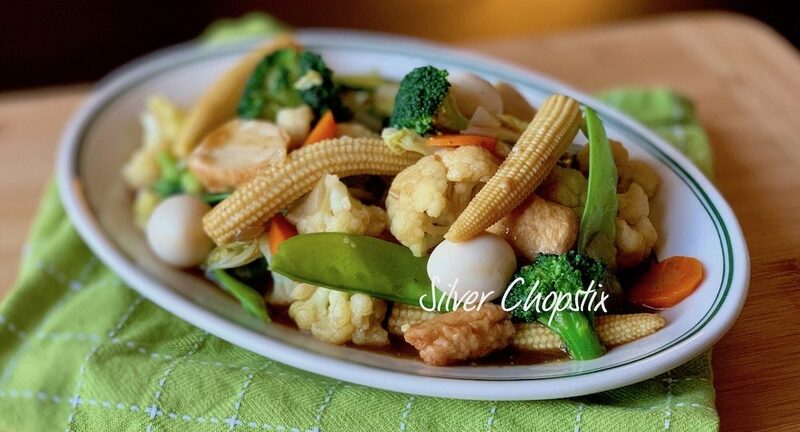 Most often chicken, pork or shrimp is added. In my family chicken is the protein of choice. 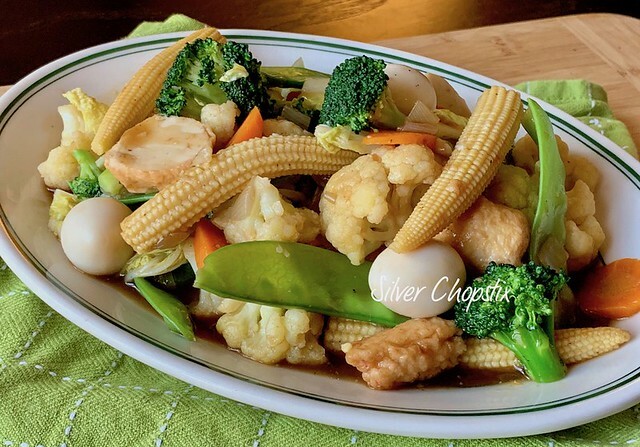 You can use any kind of vegetables you want; cabbage, carrots, celery, cauliflower, bell pepper and chicharo (snow peas) are the most popular. 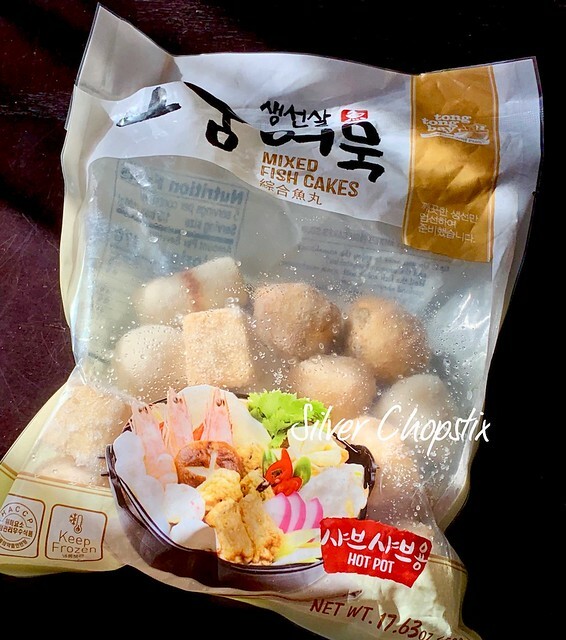 For this recipe I didn’t add any kind of meat, instead I opted to use quail eggs and some fish cake. To make, in a large skillet or wok saute in 2 tbsp. oil 1 medium sized white onion finely chopped and cook until translucent. Add 3-4 cloves minced garlic and continue cooking until fragrant. Add your vegetable starting with the hardiest: 1 medium sized carrot cut into rounds, 1 small broccoli and cauliflower head cut into florets, a handful of snow peas. Let this cook until vegetables are crisp tender. Then add a can of young corn, a can of quail eggs and 1/4 cup fish cakes then carefully stir. Continue cooking for 2 – 3 minutes until heated through. Then place the following in a small bowl 1 tsp. cornstarch, 2 heaping tablespoon each of soy sauce and oyster sauce, 1 tsp sesame oil. and about 1/4 – 1/2 cup water. Mix until thoroughly combined. 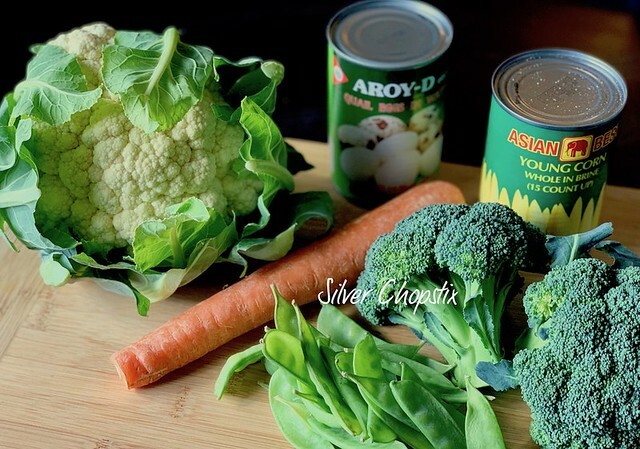 Pour this into your vegetable and cook until sauce has thickened. You may add more water if you think it’s a bit dry.